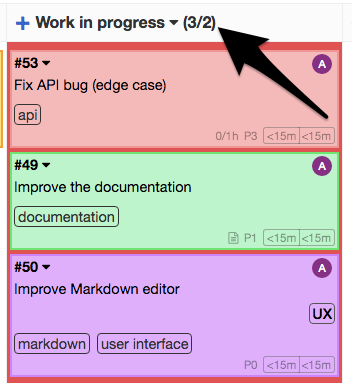 The Kanban board is the best way to know the current status of a project because it's visual. It's very easy to understand, there is nothing to explain and no training is required. You can add, rename and remove columns at any time to adapt the board to your project. Avoid multitasking to stay focused on your work. When you are over the limit, the column is highlighted. Kanboard have a very simple query language that offers the flexibility to find tasks in no time. 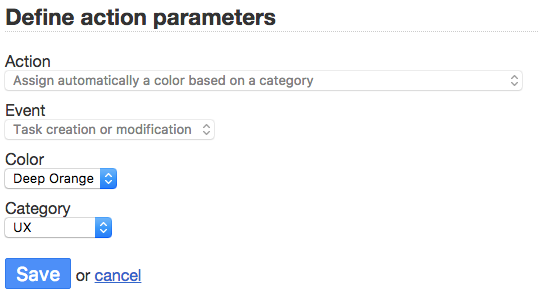 Apply dynamically custom filters on the board to find what you need. Search by assignees, description, categories, due date, etc. Break down a task into sub-tasks, estimate the time or the complexity. Describe your task by using the Markdown syntax. Add comments, documents, change the color, the category, the assignee, the due date. Move or duplicate your tasks across projects with one click. Don't repeat yourself!, Automate your workflow with automated actions. Stop doing again and again the same thing manually. Change automatically the assignee, colors, categories and almost anything based on events. Thanks to the different contributors, Kanboard is translated in Bahasa Indonesia, Bosnian, Brazilian Portuguese, Chinese, Chinese (Taiwan), Czech, Danish, Dutch, English, Finnish, French, German, Greek, Hungarian, Italian, Japanese, Korean, Malay, Norwegian, Polish, Portuguese, Romanian, Russian, Serbian, Spanish, Swedish, Thai, Turkish, Vietnamese. Connect Kanboard to your LDAP/Active Directory server or use any OAuth2 provider (Google, GitHub, GitLab...). Kanboard is distributed under the permissive MIT License. The software is mainly developed by Frédéric Guillot, but more than 245+ people have contributed! If you are using Kanboard every day at your company, you may consider to make a small donation. Discover Miniflux, a minimalist of opinionated feed reader.